The Yellowknife Historical Society and its members are committed to preserving the story of Yellowknife, including its social, cultural, economic, and natural history. It works towards its ultimate goal, the establishment of a community-driven museum at the old Giant Mine in Yellowknife. The Society is governed by a volunteer board of directors and activities are managed by a paid coordinator. It is a registered non-profit society and has charitable status. The Society has a broad individual and corporate membership base through which it obtains funding and support for its projects. It also applies for government grants and funding. 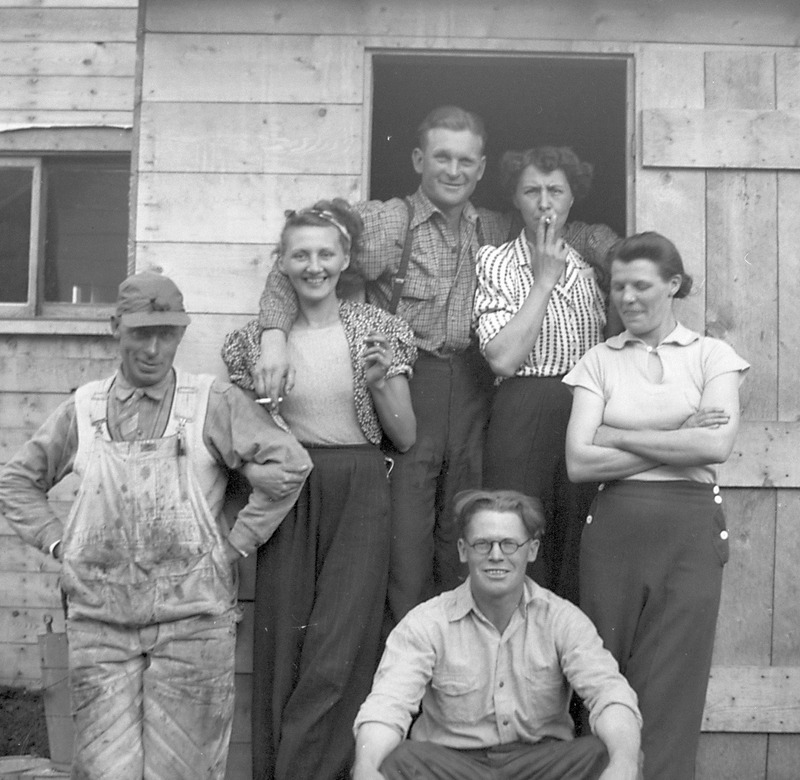 These projects include: production of heritage-themed merchandise for fundraising efforts, collection and inventorying of artifacts and mining equipment, development of interpretive outdoor displays, production of heritage resource books and promotion of earth sciences, and renovations to its structures at Giant Mine, where the museum will be located. Please visit the Get Involved page for more information on how you can contribute to our projects and for a listing of our sponsors to date. Yellowknife needs a museum to celebrate the unique community that began when the first gold prospectors came north in the 1930s. But the story of Yellowknife is more than just the gold-era settlers. It is a rich tapestry of indigenous culture living on the north shore of Great Slave Lake for thousands of years, combined with the arrival of newcomers throughout the period as Yellowknife grew from mining outpost to a business supply centre and government hub. It is also a place of natural beauty and spectacular geology. The museum will offer a main exhibit hall with tea room, gift shop, and archives/library. It will also include extensive outdoor displays utilizing vintage machinery from Yellowknife's closed gold mines and historic structures. The site is only a few minute drive from downtown Yellowknife. It is adjacent to a commercial marina (Great Slave Cruising Club), public boat launch, the Baker Creek Interpretive Site (a popular recreational fishing area) and the Giant Mine townsite. It is within a picturesque valley surrounding by high volcanic ridges on the shore of beautiful Great Slave Lake. Currently there is an outdoor display of underground and surface mining machinery and other outdoor interpretive displays. It is a lovely spot to stop and have a look around, take photos, and enjoy a picnic. A museum is opened to the public in Yellowknife in 2020. $1.5 million is raised by 2020. Strong outreach and active membership within the community. Our strategic plan follows a specific road map that will make sure the Society reaches it’s goals. The Yellowknife Historical Society preserves and promotes awareness of local community history for residents and visitors. There is a community-driven and thriving museum with a focus on Yellowknife's community history that engages residents and visitors by providing learning opportunities for all.